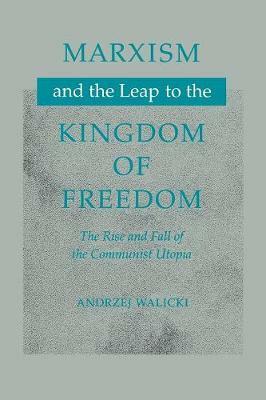 The aim of this book is to carefully reconstruct Marx and Engels's theory of freedom, to highlight its centrality for their vision of the communist society of the future, to trace its development in the history of Marxist thought, including Marxism-Leninism, and to explain how it as possible for it to be transformed at the height of its influence into a legitimization of totalitarian practices.The relevance of the Marxist conception of freedom for an understanding of communist totalitarianism derives from the historical fact that the latter came into being as a the result of a conscious, strenuous striving to realize the former. The Russian Revolution suppressed "bourgeois freedom" to pave the way for the "true freedom" of communism. Totalitarianism was a by-product of this immense effort.The last section of the book gives a concise analysis of the dismantling of Stalinism, involving not only the gradual detotalitarization but also the partial decommunization of "really existing socialism." Throughout, Marxism is treated as an ideology that has compromised itself but that nevertheless deserves to be seen as the most important, however exaggerated and, ultimately, tragically mistaken, reaction to the multiple shortcomings of capitalist societies and the liberal tradition.